Easter Seals is thrilled to announce a new partnership with the a new children’s program, Mack and Moxy. 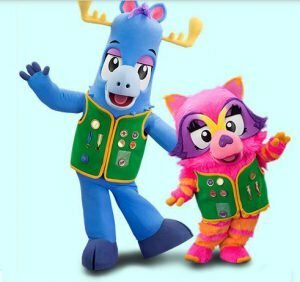 Slated to premiere in select PBS markets February 20th, it’s the first and only program for kids focused on charitable causes and Easter Seals has been chosen as a featured charity in season one of the program! The Easter Seals episode, airing in July, will be focused primarily on autism and will feature a familiar face as well as one of our own! During our episode Mack, Moxy and Charlie (a little boy with autism from the Easter Seals Midwest family) embark on an adventure to save the “Helpee” and learn that everyone no matter the differences can be our friends! We will have more information on this new partnership as it becomes available. Please monitor our Facebook page for the most current information on segments and their air dates.